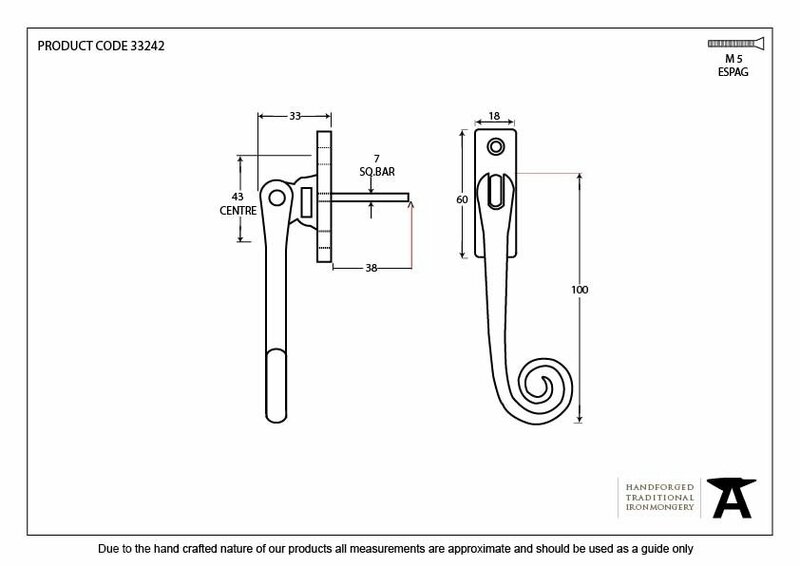 A narrow style window espagnolette handle which fits on any type of lockable window system, including pvc, timber and aluminium, due to it’s slim fixing plate. Can be fitted to any modern espagnolette system or stand-alone centre lock. Comes complete with a 7mm thick spindle which can be cut to length (spindle comes with 38mm length showing) The handle can also be locked with a grub screw hidden under the handle. This is the right hand version which sits on the left side of your window when viewed from the inside with the monkeytail curl opening into the centre of the window. 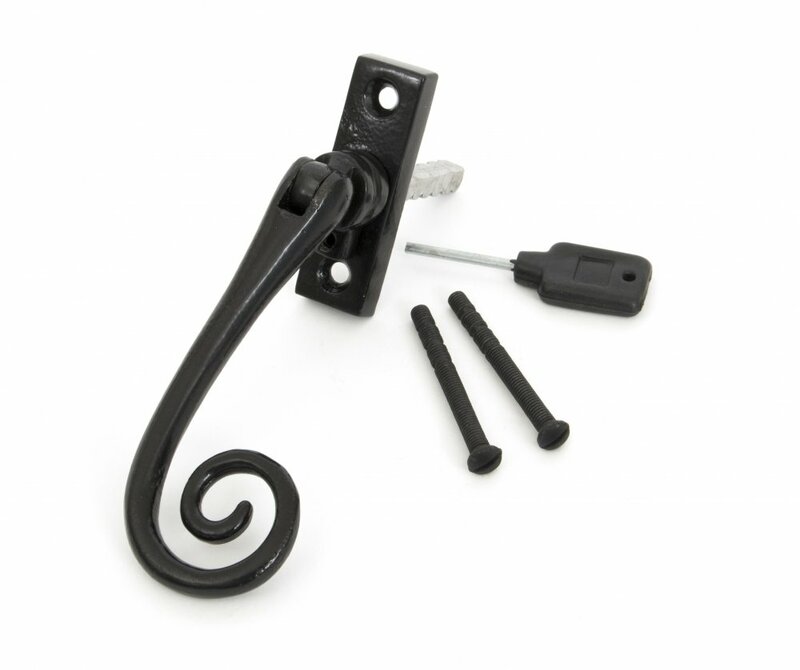 The finish is suitable for use in any room in your home even bathrooms and damp conditions. Maintenance instructions must be followed to preserve the finish of your product. Finished in Black - for more information see the finishes guide here.